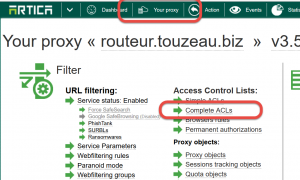 To create an ACL rule to ban the proxy to not cache some websites. 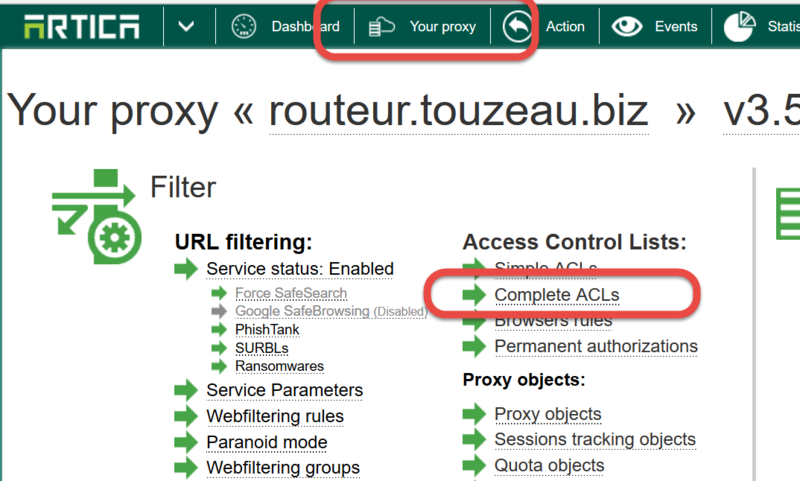 Create a new ACL rule. 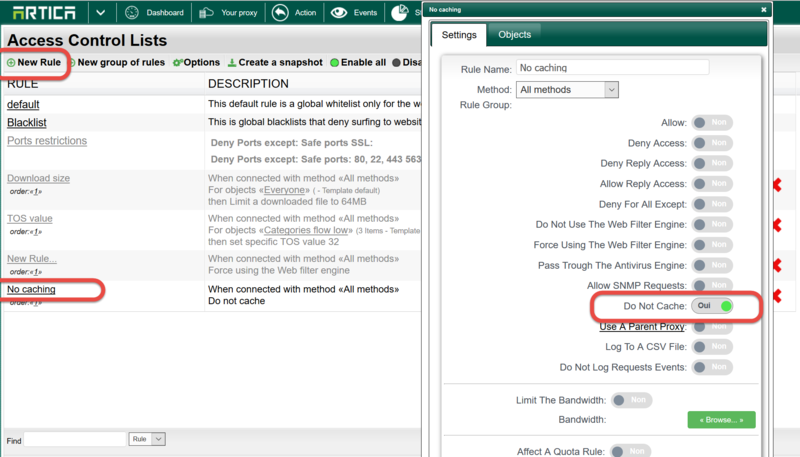 Click on this new rule and enable the “Deny Cache” option. 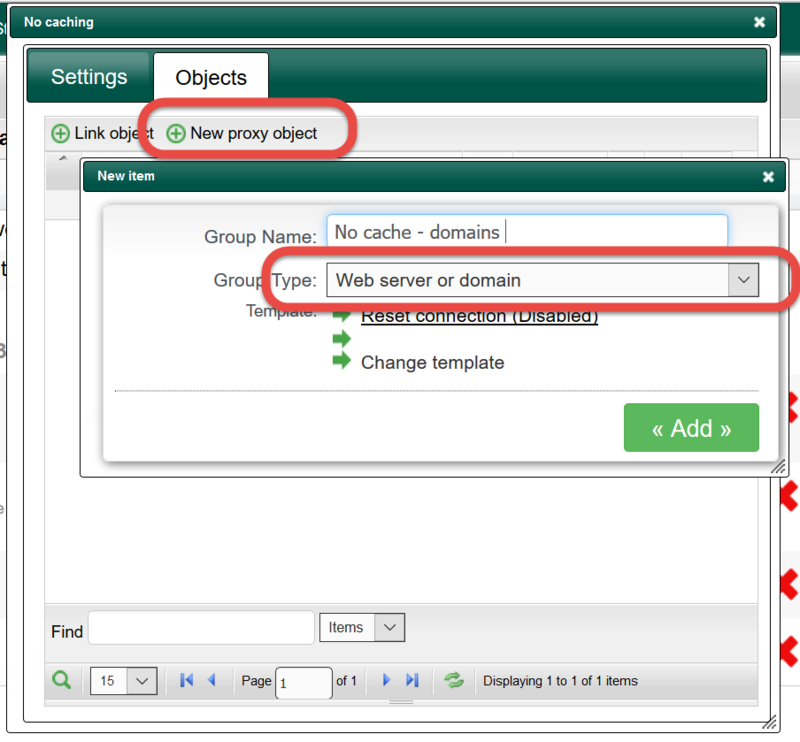 Click on “New proxy object” button. 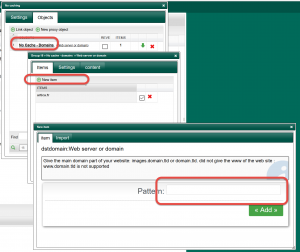 Destination IP address if remote sites is reached using IP address. 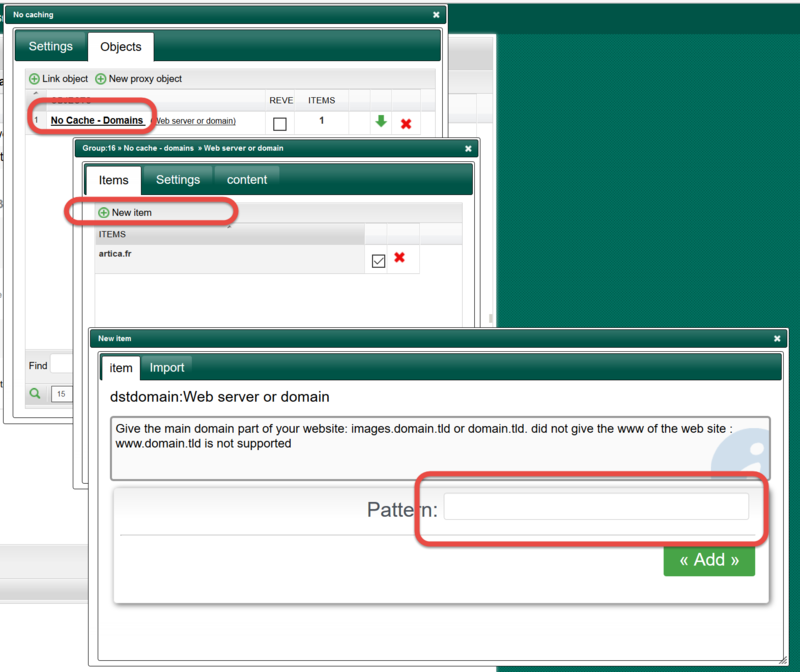 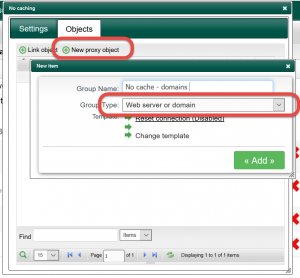 Click on the created object in order to add target sites that will be not cached. 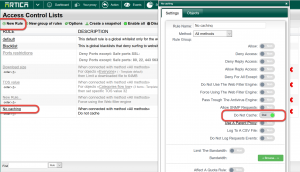 When finish , click on Apply button to make rule available in production mode.